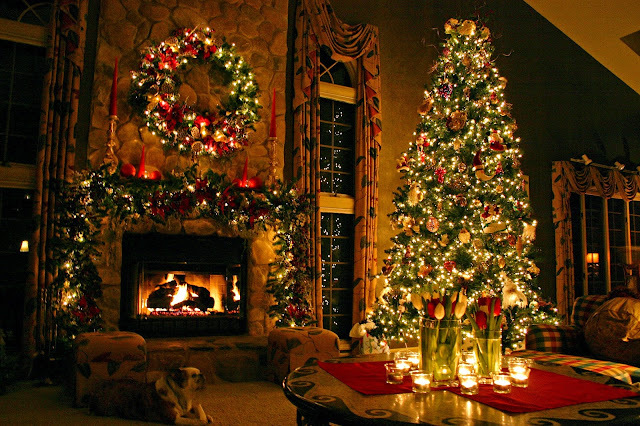 Decorate your home for less than you could all year. 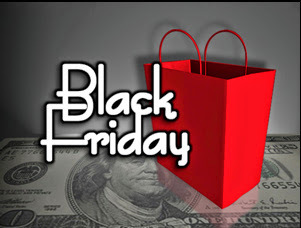 Starting Sunday 11/23/14 our black Friday sale will start before all the rest. Don't fight the crowds when you can have your home decor delivered right to your door. We'll have site wide sales on in addition to coupons to use if you visit our Facebook page. This is our biggest sale of the year for some of the most high quality silk plants, artificial flowers and trees available on the market. Use the coupon below for our blog readers to save even more...Happy holidays! Visit our Facebook page to find discount coupons by clicking here. Family sitting around a table making silk flowers. Back in the 19th century artificial plants and flowers were actually made from silk fabric. 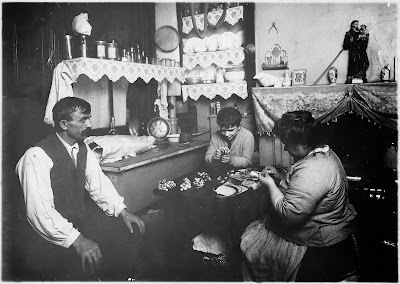 As seed in the picture above, families used to sit around their table making silk flowers to make a living for the family. As soon as other fabrics such as rayon came along they Started making them at a lower cost. When they were primarily made from silk they were thought to be a luxury item for the wealthy. Now that times have changed and technology is becoming more and more advanced, the artificial plants and flowers seen today are made of mostly a silk screened polyester fabric. It's very much still an art to make these plants and flowers as some of the painting and arranging are still done by hand making each one individual in it's own right. Some of the highly detailed ones like we have on our site are hard to tell from the real thing just by looking at them. Even then, you may have to touch them to tell they're fake. Even though the fabric has changed the name "silk plants and flowers" has stuck. To make flowers out of silk today would be very expensive and you still wouldn't have the realistic look of the more popular fabrics being used today. Browse our selection of Silk Plants and we're sure you love the quality. Adding some flare to your home for the holidays doesn't meen breaking the bank. Just a simple fall colored garland, some fall leaf branches and some candles for added height can decorate a centerpiece of your room and transform the entire feel of the season. Take a look at some of the brand new fall and holiday items we have added this year. 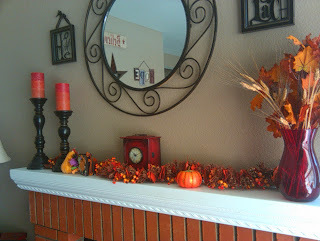 Fall is finally here and many of us are decorating our homes with bright oranges, yellows, burgundy and red colors. 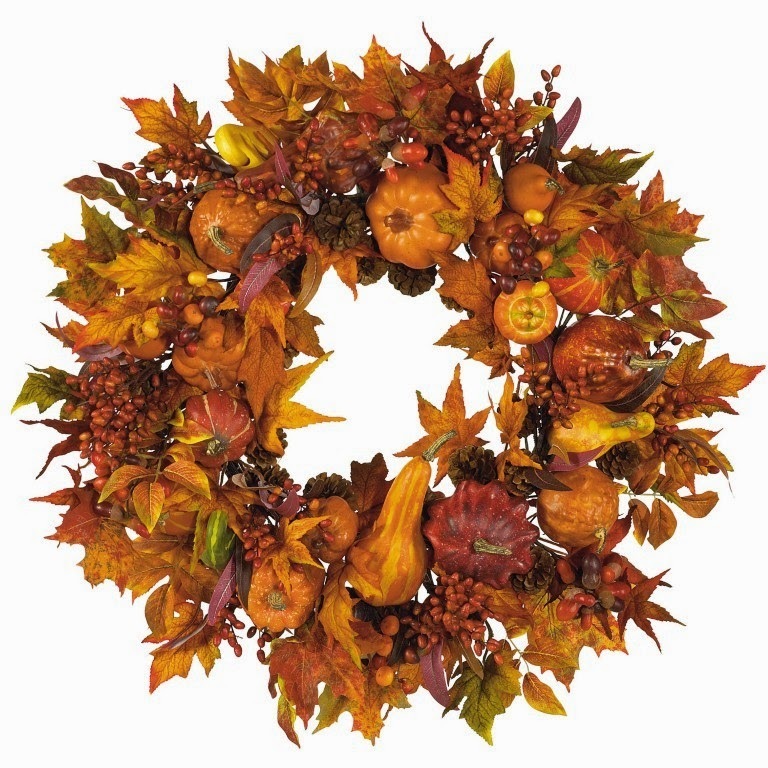 Hanging a wreath like the one above on your door helps bring in the holiday season with some flare. Centerpieces on tables or garland on a fireplace mantle will brighten up a room. Maple and aspen leaves have some of the most vibrant colors when decorating but be creative and send us your photos to post on our blog. Keep an eye out for our fall specials coming soon or follow us on facebook by clicking here. 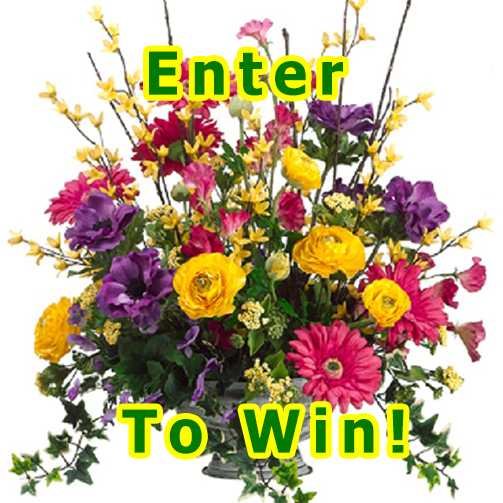 Visit our Facebook page to win this amazing high quality silk flower arrangement. One lucky winner will be chosen at random to have this arrangement shipped right to their door free. Available to all entries in the 48 mainland states. Hurry and find out how to enter this today by visiting the page below. Having a beautiful office with lush plants, trees and some flowers is a very important feature. 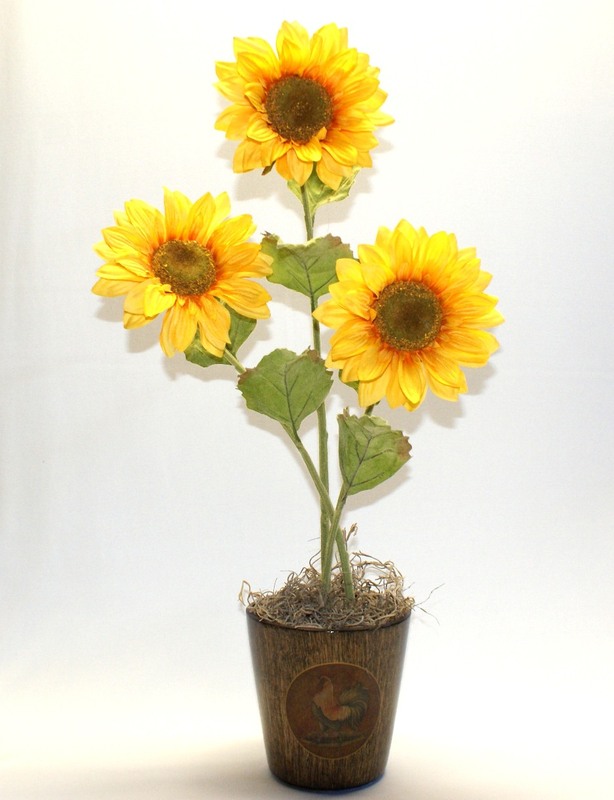 They add a touch of elegance and give your office a great first impression to your clients. A beautiful floral arrangement in the lobby or a giant tree in the waiting room softens the edges and highlights the décor. There are some benefits of real plants however there is a down side to having real plants in your office. One of the most obvious down sides to having real plants in your office is of course the cost of maintaining them. Having to water them yourself is sometimes an option if you have a small office but for those with large facilities, you’ll have to hire an outside maintenance crew to come in to water, prune and fertilize the plants and trees. This is ok if you have the money to do this but what most don’t realize is that this also creates an additional security risk to your company. Most services come in after hours and have to have access to every office in the building that needs to be serviced. Another not so obvious down sides is the fact that small little insects like the moisture in the soil making it an excellent breeding ground for their eggs. This can cause your office to have little bugs flying around the office at certain times of the year. This is only going to cost you extra money to have them eradicated by a pest control company. If you’re watering the plants on your own be careful not to over water as this may cause staining on the floor or carpet if it leaks out. This is so common and if you move the planters of many office plants you’ll see the damage it causes when they’re over watered. Over watering causes one more common thing to happen and that’s mold. Mold can form when there is too much moisture in the soil or if you’re in a humid climate. This is not only bad for the plant but it can also trigger allergies and illness in the office to your employees. This is a hidden problem that most never see or think about when they walk by their office plants. These are the main reasons why many offices are reverting to artificial plants, tree and flowers over real ones. Most people think if you go artificial, you’re losing the quality and realistic appearance. In some cases this may be true specially if you visit your local discount or craft store. Quality Silk Plants has a specially designed line that is of such high quality that you will have to touch them to see if they’re real or not. Our professional designers have years of experience and have put together some of the most elegant artificial flower arrangements, plants and trees available on the market today. Our plants have been featured on TV, amusement parks, high end hotels and many high profile office buildings. Changing out your real plants for artificial ones doesn’t have to be a huge expense either. Start in one area and work your way around the entire office until you’re done. Our line of pre made and pre fanned out tree and plant arrangements come ready to display right out of the box. Our professional designers arrange and fan out the pieces then securely pack them in an oversize box so all you have to do is open it and set it in place. It’s really that easy. 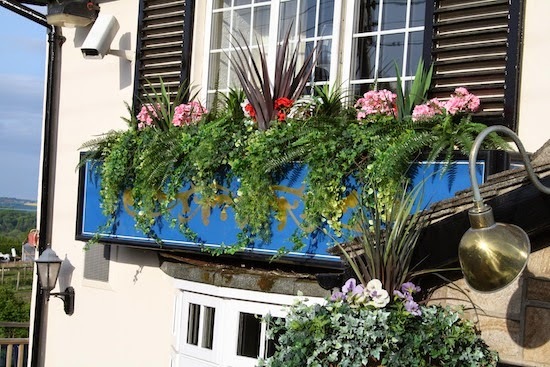 If you would like to keep the planters you have now you can opt to go with our silk plants and trees that are either non potted or potted in a simple planters pot. You will just need to set them in the planters you already have and top them off with some of our artificial moss or rocks. A bit of fanning out and you have the high quality artificial plants without having to worry about the hassles of live ones. Not sure if you can do it? Don’t worry; we’re here to help if you need it. We’ll walk you through the process and offer helpful advice. To start replacing your real plants with artificial ones take a look at our website and find the style you’re looking for then give us a call if you have any questions or would like some advice. If you’re looking to replace the plants you have with the same style in an artificial version but don’t know what it is, just take a picture and email it to us and we’ll find it for you. We have over 20,000 products to choose from and quality is what we strive for, just read our testimonials from our customers located on our site. 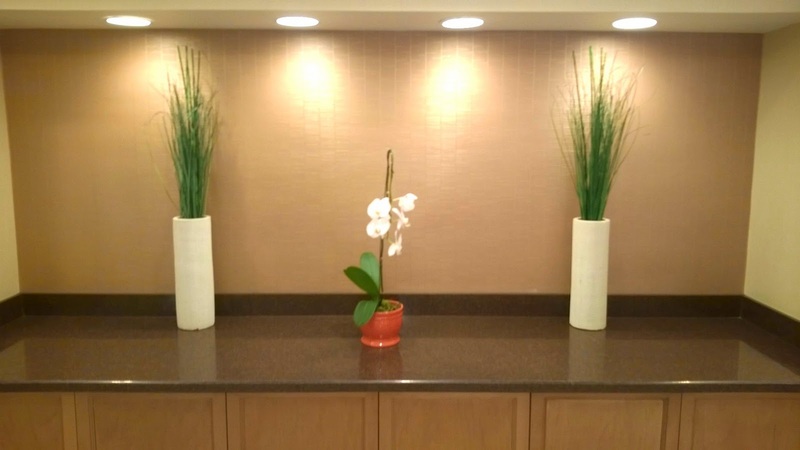 There is a growing trend in the artificial plant business that many are not aware of. This trend is using artificial plants and succulents to mimick the environment that reptiles and amphibians live in while trying to minimize the cost and upkeep of real plants. As shown in the picture above, this reptile enclosure contains some of our artificial grass, an artificial aloe plant and at the very bottom are two of our 7.5 inch artificial echeveria cactus. This display is at the San Diego Zoo and many of the plants you see in these cages are artificial but most visitors cannot tell they're fake. They serve a purpose of not having to constantly enter the cage to take care of live plants possibly putting the keepers in danger more than is needed. The realistic nature of these artificial plants make them perfect when trying to copy Mother Nature in the wild. They also are very safe for the reptiles allowing for them to move around without danger of getting scraped or cut. 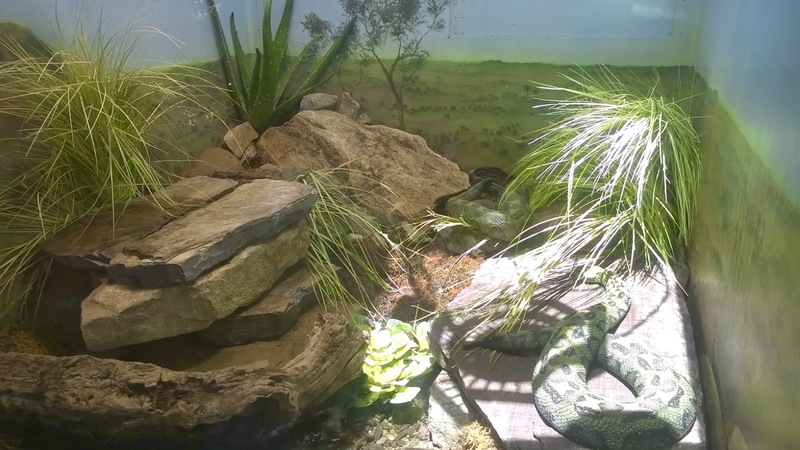 The picture above is of a very poisonous viper enclosure so it's very important to keep the maintenance to a minimum. This picture above is of another reptile enclosure found at the San Diego Zoo. It has some of our artificial desert yucca plants mixed in with some artificial grass and fake tree branches. 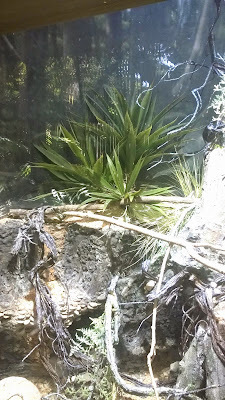 These have been strategically placed to give the reptiles a place to climb and hide but still be in sight of visitors. When purchasing these items for a reptile or amphibian enclosure you want to make sure they're made of a polyblend plastic material to keep them from leaching color in to the water aspects of the cage. We carry a very large variety of these types of artificial plants to use in these situations so if there is any question at all whether one will be suitable for an enclosure please contact us and we can help you choose the right plants for your project. To see a more detailed image of the ones above feel free to click on them to pull up a larger image. Palm trees are a symbol of the tropics and when you go on vacations to places like Hawaii, the Bahamas or even California and Florida you’ll see a plethora of them. The light rustling sound they make while blowing in the breeze while waves crash the shore are what makes for a relaxing vacation. The sound of seagulls and the warm sand between your toes while you sip a fruity cocktail with a colorful umbrella is what many of us covet. Then the vacation comes to an end, we come back to our homes in the areas where palm trees just don’t grow but we want to feel like we’re on vacation for a bit longer before the stress sets in of getting back to the grind of everyday life. This is where artificial palm trees are at their most effective. Artificial palm trees are becoming more and more realistic with the use of new technology and also using preserved real portions of palm trees such as the coconut bark, banana bark and in some cases real palm trunks supporting artificial palm leaves. The components allow for the obvious fake parts of the trees to become realistic looking by disguising them. There are many types of artificial palm trees, almost as many as Mother Nature herself has created; this includes some outdoor versions that will last for years in the elements. Below are some of the different styles and what type of tropics they represent. • Coconut artificial palm trees are the replica of the coconut palms found in Hawaii and parts of Mexico. Many of them have real coconut bark wrapped trunks to give it an authentic look. They typically have a long trunk with the large palm leaves bursting out of the top like a fountain, generally with a few fake coconuts underneath to finish them off. • Phoenix artificial palm trees replicate the trees found in parts of the Southwest and sometimes known as the date palm. They are similar to the coconut palm in that they have a long trunk but have smaller leaves sprouting from the top. The canopy is not as wide as a coconut palm so these are very good in homes or offices that have limited space. The trunks on these are smaller in diameter that your coconut palms and many are hand painted because there is so much detail involved. • Areca artificial palm trees are made to mimic the trees found all over the tropics and Florida. They generally have multiple trunks with smaller palm fronds sprouting from the bottom and gradually get larger and longer towards the top. This design replicates the effect of new and old growth, just like in nature. Areca palms are a favorite of home decorators because of their versatility and fullness. • Kentia artificial palm trees are similar to the areca however the leaves are larger and in some cases they will have a single trunk. They generally have a wider canopy than the areca palm and are great for setting behind a sofa or anything that could use a backdrop. Coconut bark is sometimes used to disguise where the palm branches enter the trunk area making it a very popular tree in the design world. Traditionally the palm leaves are a dark green which is the most popular in the consumer market. 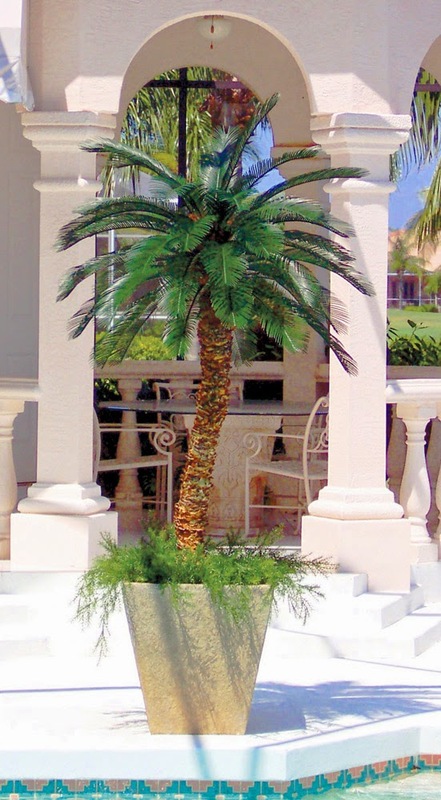 • Fishtail artificial palm trees are some of the most unique and interesting palms available on the market today. Fishtail palms are found mostly in Asia but because of their beauty they’ve been transplanted all over the world. They get their name because of the extraordinary resemblance of their leaves to a fish tail. You will see some of them that have multiple trunks and some have single trunks with a look similar to a coconut palm. These are very popular because they have a dark green tone and give the feel of luxury and uniqueness. 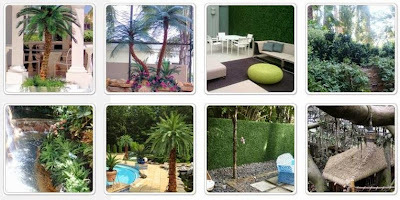 • Rhapis artificial palm trees have been around for years and continue to be a favorite in the business world. Offices around the globe continue to put these in their décor because it’s hard to tell the real ones from the artificial ones. They real ones were popular because they required very little light and low humidity which is prevalent in many office buildings. They generally have multiple trunks that are wrapped fully in real coconut bark and the leaves are very distinguishable because of their squared off jagged tips. 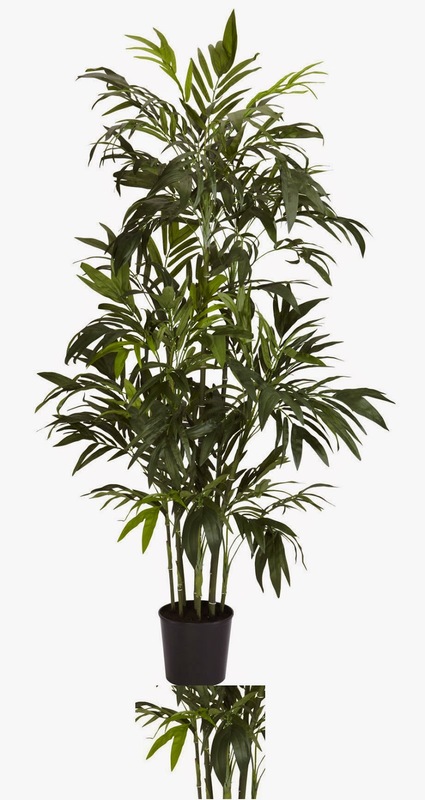 The lush dark green leaves they bear give them a lush tropical look for any home or office. Making the change from real palm trees to artificial palm trees is what many companies and homeowners are doing today because of the maintenance free option these trees give to them. Offices see the value because they don’t have to hire extra services to water and care for live plants also creating certain security risks giving another service access to the building. It also eliminates the possibility for floor damage and mold due to over watering. Quality is no longer as expensive as it has been in the past as we have circled the earth to find the finest made artificial palms made on the market without having to pay extremely high prices for a custom made tree. Pick out your quality artificial palm trees by clicking on the page link below. Above: Fishtail palm tree and orchid used as artificial plants home decor. Artificial plants home decor has become more popular and more economical for designers and business owners alike. Many people shy away from them because they have a pre conceived notion that they look cheap and are not fooling anyone. This is simply not the case anymore with the quality of the craftsmanship has them even fooling Mother Nature in some cases. When it really comes down to it the use of artificial plants home decor must look good to you in order for you to be completely satisfied. While walking through your local craft or discount store you’ll see many types of cheaply made, bulk style trees and plants that scream out that they’re fake. Unfortunately this is what a majority of people see and think that all artificial plants home decor is like this. This is simply not correct in the designer’s world. You may have thought that the very high quality artificial plants that look so real that you have to touch them must have been custom made by an artist that has been doing this sort of thing for years. This is the way it used to be, however one thing is correct, it does take an artistic person to manufacture the high quality ones but you don’t have to be to own them. With technology these days, it’s getting harder and harder to tell the real ones from the fake plants. If you’ve ever been to Las Vegas you’ve walked right by some and not even blinked an eye because they looked so real. Details are the one thing that separates the fake looking ones to high quality artificial plants home decor. When you have real tree trunks or hand painted details on the leaves, this makes it hard to tell if it’s real or fake. Most will touch the plant, tree or flower arrangement to see if it’s real or not. Now these higher quality products are a bit more expensive that your typical discount store however, it really doesn’t matter what it costs if you’re not happy with it. To give you an example a typical cheap 6’ artificial palm tree in a discount store will run about $169, the higher quality version of a similar tree may cost you around $199. As you can see it’s still affordable and makes more sense to go with a higher quality product as it will make you happier with your decor. Quality Silk Plants has a large variety of some of the highest quality artificial plants home decor that you can buy on the market today. With prices that most anyone can afford, you can have the same quality that used to be only high end designers had access to. 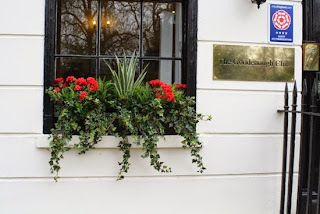 Simple little things such as using real plant and tree components in areas of the arrangements to disguise some of the obvious artificial areas make all the difference. They will ship them right to your door and have a guarantee that lets you return them if you are not 100% satisfied for any reason. When done right you can have all the beauty that foliage brings to your home or office without all the bother of maintaining real plants or trees. To see some of our high quality artificial plants home decor click here. Bamboo trees are actually not trees at all, they’re a giant grass that grows very fast and is hard to contain. Bamboo flooring is becoming more and more popular because of this. Some types of bamboo can grow up to four feet in a 24 hour period! This is why artificial bamboo trees are not only beautiful but it doesn’t hurt the environment because of its sustainability. If you have the time and energy to grow these then it gives you a tropical beauty only bamboo can give. If you don’t then artificial bamboo trees are the way to go because the most of these trees are made from real bamboo stalks and have artificial leaves giving them the most realistic appearance. Typically found in Asian countries, parts of Europe and as far south as Northern Australia, different species can grow in hot and cold climates making them the most diverse plant in the world. The most popular for use in home décor have been the Japanese bamboo, black bamboo, bambusa trees and bamboo palms. Unfortunately these are very difficult to keep alive in an indoor environment especially when the trees are in a confined container. Leaves will fall off quickly and there is an extensive amount of maintenance involved even if you have a green thumb. This is why many are reverting to artificial bamboo trees for their decor choice without sacrificing an overall look. Most artificial bamboo trees are made with natural bamboo stalks because they naturally preserve themselves and last years without maintenance. Holes are then drilled into the stalk then small stems of bamboo replica leaves are inserted and glued in. Generally you want to see the stalks because it gives them a more realistic appearance but this is up to the individual. Different styles will give your home or office a different look. See some of the most popular varieties below to see how they can fit into your décor. This is by far the most popular as they tend to have more leaves than your other styles. The leaves are a smaller leaf and clumped together more. The foliage tends to start lower on the stalks and gradually gets thicker as it moves its way up to the top. To the right is an example of a Japanese artificial bamboo tree. You may also see that the stalks are a smaller diameter than a biggie or the bambusa style; this gives it a more petite look. As you can see the leaf count on these are very high and typically over 2,000 for even the smaller trees. The number of stalks generally starts at around a dozen depending on the manufacturer. These are the easiest of the artificial bamboo trees to set up as they require very minimal fanning of the leaves to make them look natural and lifelike in your home or office. The stalks on a black bamboo tree are very similar in diameter to a Japanese bamboo however they are an espresso to almost black in color therefore giving them their name. The leaves are slightly larger than the Japanese version however they generally have in the thousands when it comes to the number of them on a black bamboo. Black artificial bamboo trees tend to have a more contemporary look as the black stalks contrast or can accent some of the decor you place in the room. These trees give you a very clean organized look when used in pairs or more. Most will have from a half dozen stalks to a large cluster like this one, so it depends on your use and preference. Recently we’ve had many designers telling us they go well with a shabby chic decor. 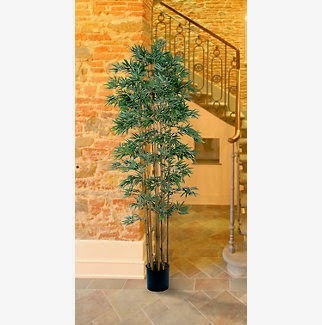 These types of artificial bamboo trees will have a little more space between the stalks and let more light through. Typically the stalks are larger in diameter than others and will have a larger leaf than the previous two mentioned. These trees are great for areas that you would like to soften the edges but not block off an area from view. These artificial bamboo trees will come in a shorter version such as three to five feet tall. Trunks on these are typically natural and there is a bit more work to get them to look natural because the stem of the branches are longer. It will take longer to shape them and form them to look natural but its well worth it when you finish. This type of tree is very popular style because of its unique leaf style. The leaf looks almost like a long fish tail making it popular in the design world. Each leaf looks like a larger bamboo leaf but the leaf on the tip are connected toward the bottom as shown in the picture to the right. The stalks on these are typically green so this is one where the stalks may be artificial or a natural stalk will be painted. This doesn’t mean they are not as realistic looking as the natural ones, it just means they may be a bit more expensive because of the higher cost it takes to make them look real. Each trunk will sometimes be hand painted with all the detail of the real thing. Since the stems are longer it will take about 10 minutes to fan them out to get them to look natural. 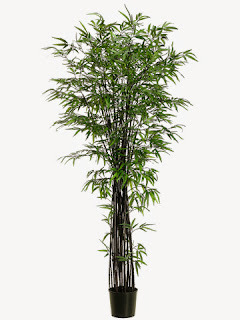 Artificial bamboo trees are and have been one of the best selling trees next to palms in the decorating industry. 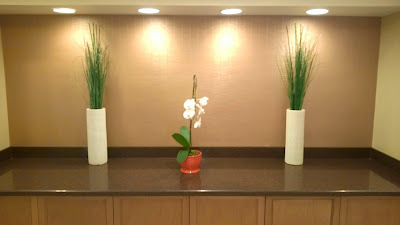 Making them look natural takes very little effort and they are great for areas with limited space. As you may know many homes, apartments and offices are operating with limited space but don’t want the place to be bare. These trees fit nicely in corners or on the side of a desk to soften the edges. The average width on most of these trees is around 36 inches so you can see how this makes them one of the most versatile on the market. There are many places you can purchase them online but make sure you ask the questions if the description doesn’t say what type of trunks or how many leaves are on the trees. 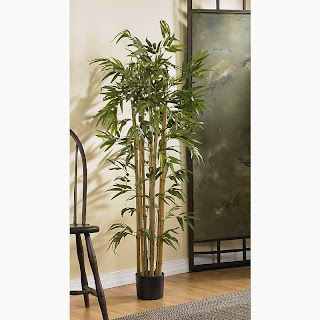 At Quality Silk Plants we have an array of artificial bamboo trees making us one of the largest suppliers in the U.S.
All artificial fruits discounted even further than we have in the past. Huge sale going on right now during summer as we need to clear out space for new inventory that's coming in soon. 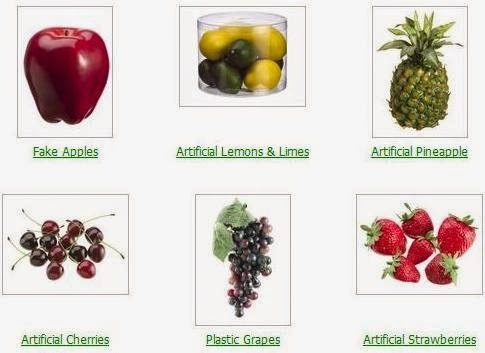 Our artificial fruits and vegetables look anything but fake. We've even had stories of people picking up the fruit to take a bite and fortunately they realized it before they got it to their mouth. These are not your typical craft store or discount store plastic fruit; these are high quality and highly detailed pieces of art. Some of the biggest requests we've had is to come out with a fruit or vegetable that not only looks real but feel real also. This is where our weighted line comes in; they are carefully weighted to mimic the feel of when you pick them up. These are great for outdoor events where wind may be an issue. We have a full line of weighted fruit such as apples, lemons, bananas, pineapple and much more. Artificial strawberries tend to be the most sought after during this time of year. We also carry them in a weighted version and also soft to the touch making them feel like they were just picked from the bush. As fall approaches the artificial apples become more and more popular along with vegetables such as pumpkins and gourds. All year long is the time to decorate and whatever you’re feeling like, you can accomplish with our realistic fake fruits and vegetables for your home. Planning a special event? We've worked with many event companies and can supply in bulk. For instance we had an event company throwing a lemon themed event at a hotel pool area. They needed not only fake lemons but they needed lemons that would float. We were able to accommodate them with their request along with other lemon items to finish off the decor. Our products have been featured on TV, high end hotels, amusement parks, feature length films and many homes across America. Even a small bowl on your kitchen counter can make a huge difference in the look and feel of your space. If you're like most people you've gone through many floral and plant arrangements but none of them has given you the satisfaction that your kitchen is complete. Fruit belongs in a kitchen, vegetables belong in a kitchen, so the logical choice is to add this in the replica version so there is no spoilage and having to worry about replacing them every other week at least. Take a look at the kitchen below as all that was done to add a bit of color was to add some artificial fruit in a bowl on the counter. You can get as elaborate as an arrangement as we do carry these too, but if you want to get color for a discount price then use a bowl you already have or pick one up at a local garage sale that catches your eye then throw a dozen or so lemons, apples or bananas in to dress it up. It really is as simple as that when it comes to decorating your kitchen with a bit of color. Hopefully you can use this as a bit of inspiration and if you decide to put some color in your kitchen then you will want to add some of our artificial fruits discounted to an affordable price without sacrificing quality. To view our selection you can click on the page below to browse one of the largest selections on the internet. Happy decorating and send us your pictures of your projects as we love to see what our customers are coming up with. Many of us have a hard time keeping our palm trees alive in really hot climates where droughts are prevalent. Others live in areas where the climate just doesn't support palm trees or have areas that are just not practical to add a watering system to keep them alive. Artificial palm trees for outdoor use are becoming more and more popular because of their ease of maintenance. In the past when you place an ordinary silk palm tree outdoors you would get the dreaded fading from the sun within about 3 months on average. The UV rays turned them a turquoise blue color. Not very realistic looking after this happens and then you have to replace them spending more and more money out of your pocket each season. At Quality Silk Plants we have a solution to this problem. Our line of outdoor artificial palm trees are made from a durable poly blend material and UV protected so they will last for years without fading. Many hotels and resorts are using out outdoor palms to decorate around their properties. As guests walk by them most don't even realize they're artificial. Even in the harshest of climates where the area you're thinking of putting them in gets full sun exposure, you can be sure these will last for years and years. Many are afraid to purchase something like this because they are afraid they may not be realistic looking enough for them. Above is an example of what can be done with these palms. Our made to order outdoor artificial palms are manufactured with the highest quality material and painstakingly detailed to match the real tree in nature. How they're put together is a key ingredient on how they look. For instance the above picture shows one of our outdoor phoenix palm trees set in a decorative planter and simply finished off with some outdoor asparagus ferns around the base. The simple addition of a plant or flower around the base of the tree allows it to have a more realistic look than one that doesn't. As you can see the trunks are highly detailed with all the nooks and crannies of a real palm. There are many styles and sizes to choose from and don't get put off by the price because the money you'll save on replacing traditional silk versions will far outweigh the expense of our UV treated artificial palms. Don't let someone tell you can treat a traditional silk palm tree with a UV protecting spray and it will last just as long because they won't. We've done extensive testing on the UV sprays available on the market and yes they may extend the life of them a few months but most were having to be replaced from year to year causing an expensive outdoor landscape. Our process of infusing the poly blend material with UV protection is much more durable and last much longer. The typical response from our customers is that they tend to last between 7 - 10 years before they have to think about replacing them. 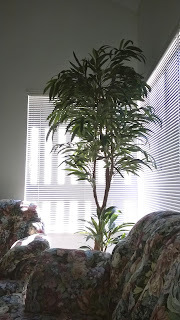 We not only carry outdoor artificial palms but also plants, flowers and topiaries. If they don't say UV in the description then they are ok for outdoor use however they may not last as long in direct sunlight as the UV protected ones. They are still a viable option if you're on a budget as they will last a couple years on average before needing to be replaced. The length of time they last of course depends on the climate, how much sun they're getting and how direct the sunlight is in your part of the world. To view our selection of artificial palm trees for outdoors click here. 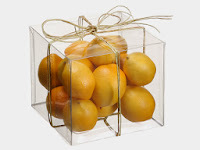 Many of our designers are getting requests for fruit arrangements for kitchens. Whether it is in your home or business, artificial fruit and vegetables can do wonders for that space you just don't know what to do with. 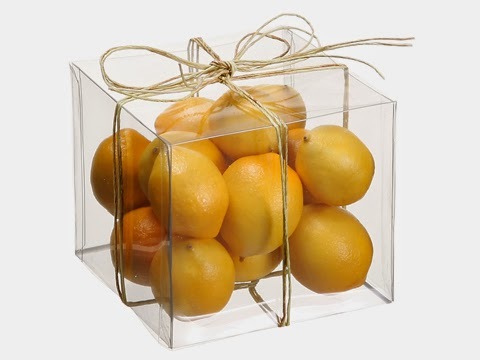 A simple bowl with some lemons and limes works well or you can go as far as a full on floral and fruit arrangement. Using artificial fruit and vegetables has become more and more popular because of the realistic look of these items compared to years ago. They are so highly details that many of your guests will touch them to see if they're real. 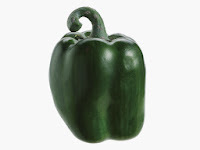 Take a look at our huge selection of fruits and vegetables at the link to the left and come up with your design or idea. Whatever it is, I'm sure it will add that special something your kitchen has been missing. With many request to add a preserved line of plants and flowers, we've done it. 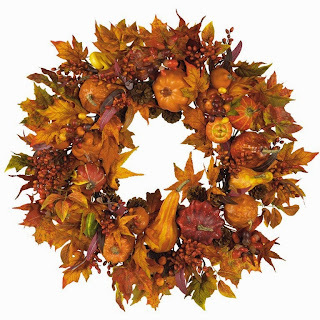 We've added a line of preserved topiaries, wreaths and flower stems soon to come. Preserved plants are great for the person who want real plants but doesn't have the time to water or constantly prune the plants to make them look nice. Each one is made from the real plant or flower and then carefully preserved to last for years without losing its natural beauty. No more over watering or leaves falling off onto the floor. No more mold building up in the dirt or pets digging in them. In addition to the maintenance free aspect of these plants, the aesthetic value is why most are interested in preserved over some of the lesser quality silk plants. For someone that has never had a silk plant or tree they may find it hard to overcome the plastic parts or fabric leaves. Most silk plants look real from about six feet away but when you go right up to them and touch them, you will know they're fake. This is very hard for someone to get over that is used to real plants but may not want the maintenance any longer. Preserved plants give them the look and feel of real without the maintenance involved. Now you can have the best of both worlds without the hassles of live plants. To view our selection of the newest line to Quality Silk Plants click here. Can you tell if this bird of paradise is real or fake? read below to find out. When you see the bird of paradise we all tend to think of tropical gardens and the islands. Incorporating this intricate flower into your decor can bring some of this home. Even if you live in the north you'll feel the warmth that this flower can bring to your abode. If you're still wondering if this flower is real or fake then you're just like many people that purchase our artificial bird of paradise flowers. They have to touch it to see if it's real or not. The one above is real but if you look at our artificial one below you'll see that it is of such high quality that you can't tell just by looking at it. Your guests will be amazed at its realistic look and many will just assume it's real. 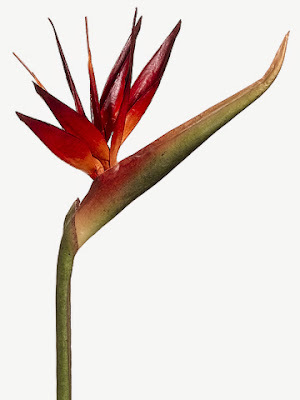 To view all our colors, style and sizes of bird of paradise and other tropical flowers Click Here. If you're fortunate enough many of us take our summer vacations and visit tropical places. Whether it’s just a short drive away or all the way to Fiji it seems like when you get there it's hard to come home. I know I always come home with a new vigor and some inspiration from where I've vacationed. My point is that you can bring your tropical vacation home with a little creativity and some help of some artificial plants, flowers and palm trees. No matter where you live you can always count on the silk version of these tropical plants to always give you the warmth you remembered in the tropics. A simple palm on a deck or some tropical flowers in your home decor can brighten up your mood and bring you back to the place where you relaxed and were in good spirits. We here at Quality Silk Plants know how to re create nature without having the hassles of live plants so browse our selection of silk palms, flowers and tropical plants by clicking on one of the buttons on the top left. To view our quality silk palm trees click here. When decorating your kitchen the small things make the difference and adding a touch of color is key. As seen in the picture above a simple bowl of fruit on the counter top gives this kitchen a splash of needed color. Now real fruit can get old so in order to keep from changing the fruit you can go with artificial fruit. For a more country style kitchen try using fruits and vegetables to give that farm fresh touch of color. To the left you'll see a small arrangement of flowers that accents an area where it would look bare if it were not there. Once again you have color that contrasts the background that it's set against. This makes the arrangement pop giving that specific area its own personality. If there's room by your sink you can add another arrangement to soften up the hard edges of the counter tops and cabinets. You may have heard us say the word soft a lot in our posts and that's because silk plants and flowers will soften the look of any room without the hassle of live ones. To the right is a kitchen nook table, without the centerpiece this table would look bare and unfinished. 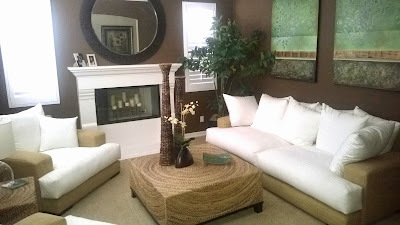 Whether you put flowers, a plant or some other type of decor such as candles, it changes the look of the space it's in. We know this is a high end kitchen and for those of us that don't have the granite counter tops or luxury cabinets, you can still get a classic look by keeping the clutter off the counters and just placing a few silk flower arrangements or plants in strategic places where it looks bare. Don't be afraid of color and remember if you purchase through us and it just doesn't work, you can send it back for a refund. View our selection by clicking on one of the pages to the left. We have thousands of silk plants, flowers and trees to choose from and our warehouse is just waiting for your to give them a new home. 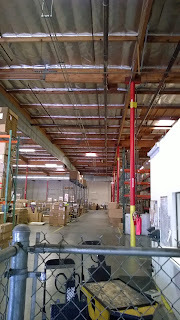 We are gearing up for the holiday season and you'll see the warehouse start to get busier and more full from the shipments coming in. Look for more sales in our manager's special page and check back often as we gear up for the fall season. A simple and inexpensive addition to the corner of this room is all that was needed to soften the edges a bit. Many times you see professional pictures of homes that have been professionally designed and arranged. This does nothing to help the average person who not only doesn't posses the money to hire a professional designer but may not have the designer eye. Above is a picture that one of our customers sent us regarding a corner in their home that was just simply too bare and was missing something. After placing one of our weeping ficus trees in the corner rendering a softer look and filled the room with some lush greenery. This gives you a realistic picture of what these trees can do for your home, and for those of you with a designer's eye, the sky is the limit. To view our selection of silk ficus trees click here. At the link below you can find out what each months birth flower is. Do you know what yours is? Take a look and see what your month is, you may be surprised as it's probably not what you think. Here's a hint, many people think February is the month of the rose but contrary to belief that is not the official flower of February. Find out what month is the rose by visiting the page below...it's really pretty interesting. Click here to see what your birth flower is. We get a ton of questions about the white saguaro cactus that we carry. Most are asking if this is the way they look naturally or are they green? The answer to this question is that they are both depending on the weather circumstances. When there is a frost in the desert it can accumulate on the green saguaro like in the picture above. This creates a unique look on the cactus that can only be found during certain times of the year. We carry this style of artificial cactus in our line due to the fact it is so beautiful and can be a great focal point in a room. If your looking for something different and unique for your home or next special event take a look at our white frosted artificial saguaro cacti below. 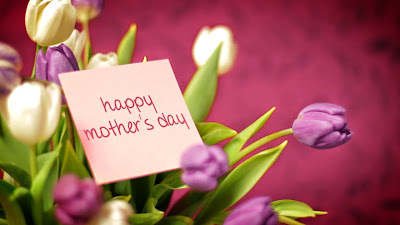 Happy Mother's Day to all out there that have taken on the challenging yet rewarding job of motherhood. If you haven't already done it, let your mom know how much you appreciate all that she does for you and tell her you love her. Mother's are the rock in our society and they make this world a better place to be. So we here at Quality Silk Plants raise a glass to toast mothers on this special day. Now this is putting the "Art" in artificial cactus. 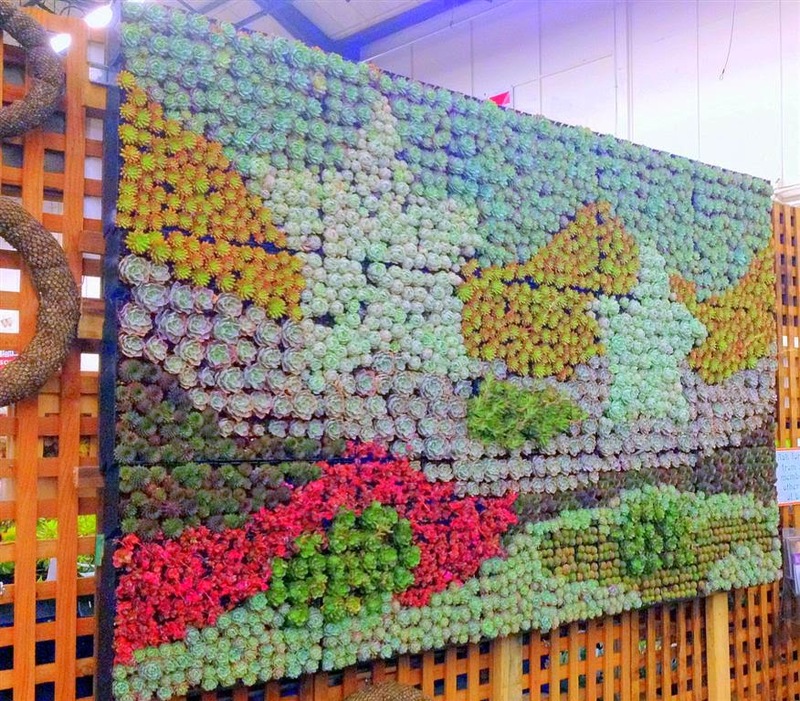 Using different styles and colors of succulents in an artistic form can make a great statement for any home or special event. The picture above shows how this can have limitless possibilities. A simple mesh screen mounted to a wood frame makes it easy to attach these artificial succulents with wire. 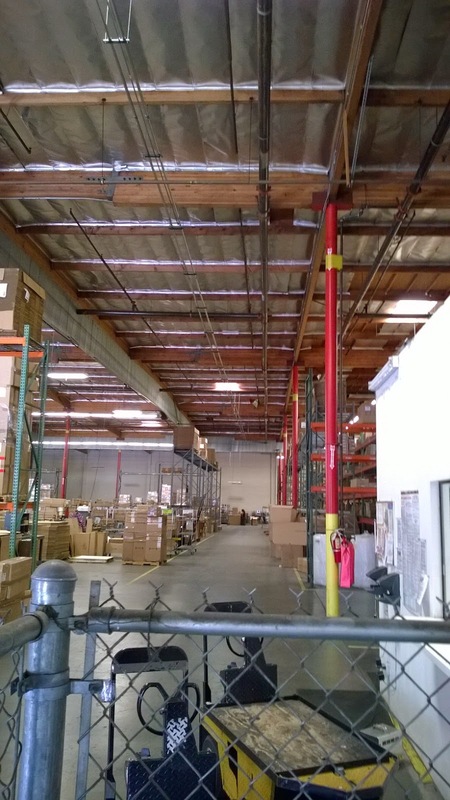 Now your project doesn't have to be this large but you have the option if you want it. Take a look at our huge selection of artificial cactus and succulents by clicking here. Having a beach wedding? Try using large white flowers to contrast against the blue waters of the ocean. Some foliage such as palm trees around the base of the alter or on each side of the isle adds some added green to really make it pop. 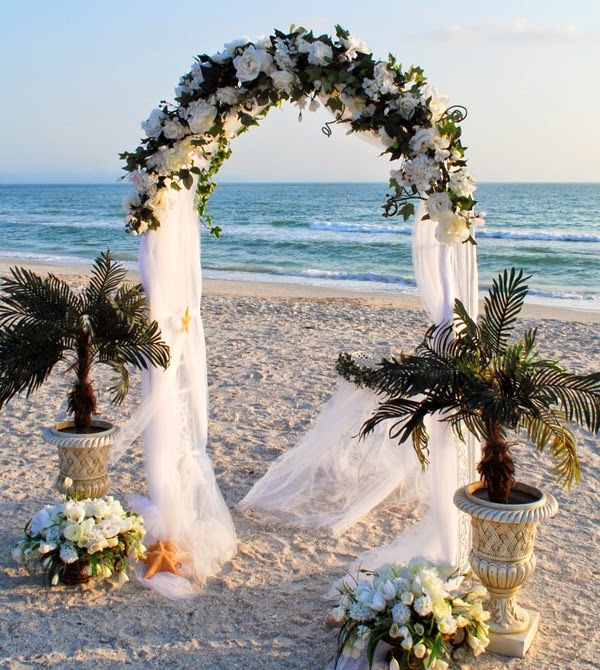 You can get really creative when working with a beach wedding but remember to weigh everything down because beaches tend to get a little windy and you don't want decorations blowing away during your ceremony. Here's a unique idea. 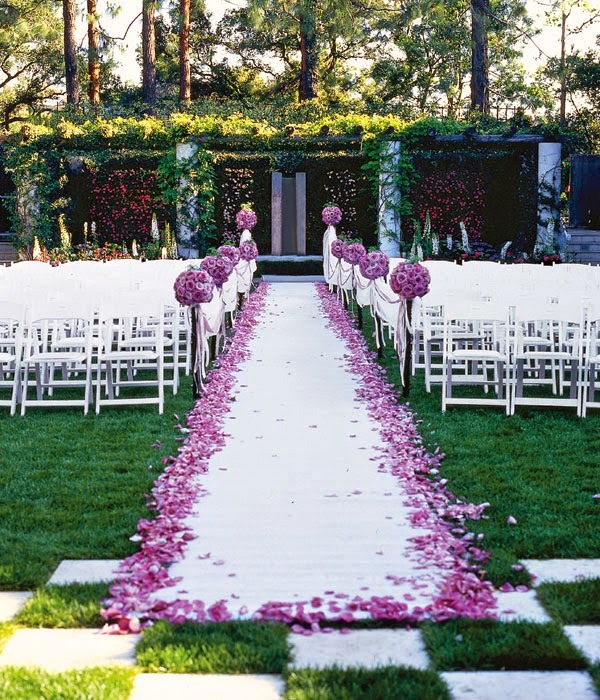 Use rose petals to put the letter of the first initial of the last name or names in the isle. This can easily be used in an indoor wedding with silk rose petals as most churches don't allow real rose petals inside anymore for fear of staining the carpet. White colors work well against a green background and will always be in theme with any wedding. Outlining the isle with the same color petals and some flower arrangements in pots will frame in the letter nicely. 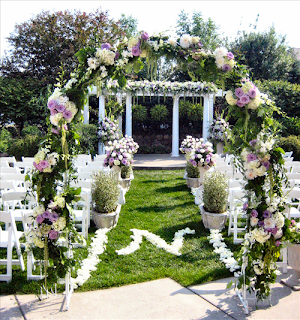 If it's windy that day and you still want to add this decor item then try using some spray tacky glue on the grass to help hold the petals in place during the ceremony. 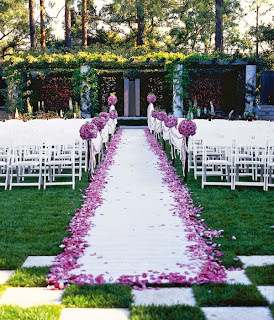 Instead of a traditional fabric runner you can also opt to use rose petals for the entire runner. Using color around the outside of the runner to frame it in then fill with white rose petals for a beautiful and classy look. If you're looking for the colors of your wedding's theme then artificial rose petals are the best bet. We carry some of the most realistic looking silk rose petals on the market today and don't forget to ask about our bulk pricing when ordering a case at a time. We know when it comes to weddings that every penny counts and you don't have to sacrifice quality for price. To view our selection of silk wedding flowers click here. As shown in the video above there are many options when using artificial flowers for your wedding. Using silk flowers and plants for your wedding doesn't mean you have to sacrifice quality and realism. Play the video and it may give you some great ideas whether or not your using silk flowers or real ones. 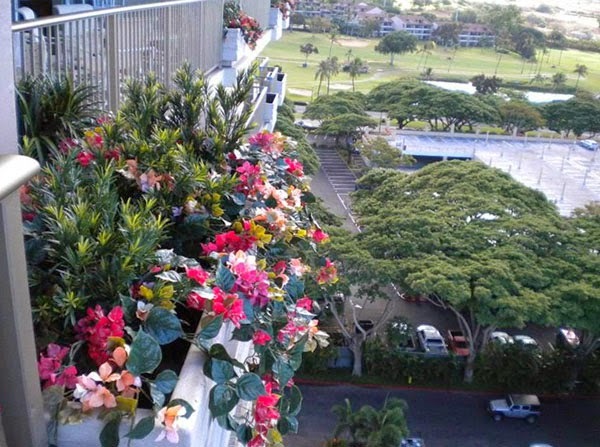 If you want to brighten up your dull balcony but not sure what to do, try outdoor artificial plants and flowers. There's no need for watering or even much upkeep as all you have to do is get yourself a planters box and start adding outdoor hanging artificial plants. 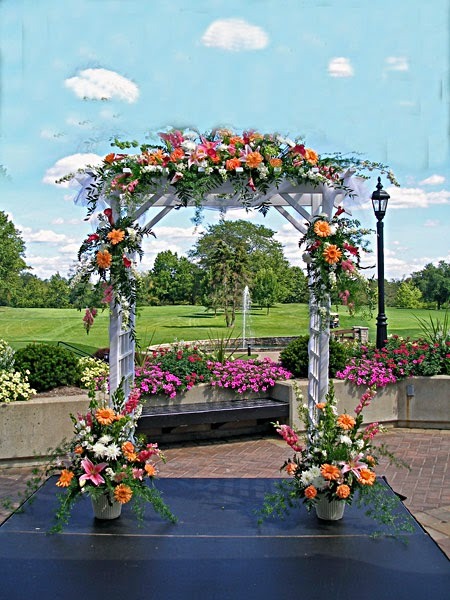 Add a bit of color by adding flowers and if you like a little height in the middle. The imagination that you have is the only limitation when it comes to balconies. You can see some of the ideas and projects that have been done above. There are literally thousands of combinations and if you would like to browse our selection of outdoor artificial plants and flowers, click on the link to the left.